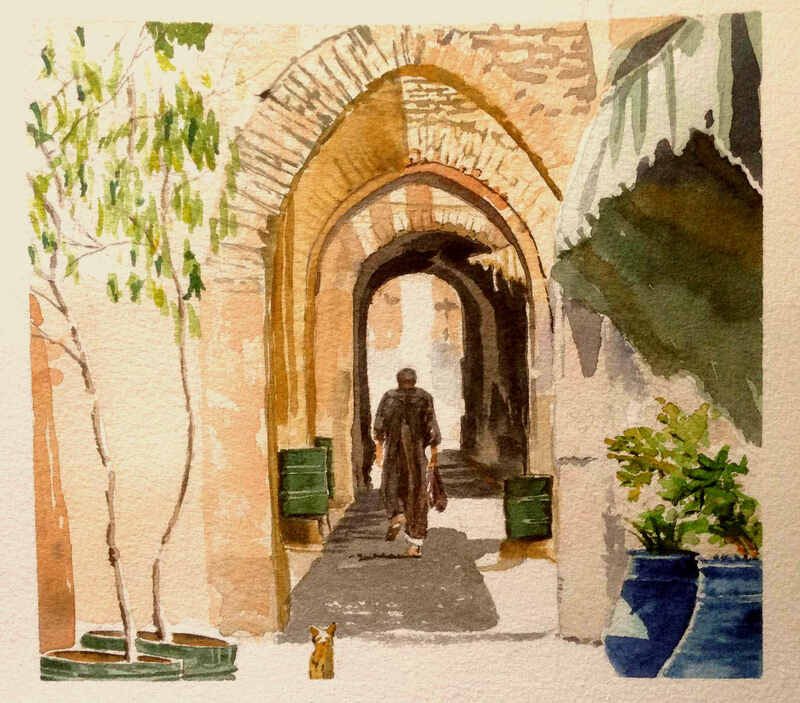 By now you might realise I’m off on my painting trip to Morocco on Saturday. I can’t wait. Also after all this hype it would be pretty poor show to produce naff work while I’m there. So I’m still practising. I caught a light cold last week so spent a couple of hours on You Tube looking at artists work and a tutorial on composition. I’ve rather let this side of my work down. I won’t bore you with all the details but story telling was one of them. I found this picture this afternoon but didn’t see the cat for ages. I liked the arches, the lights and darks but when I did see the cat it made me laugh, so I had a story. Fish tonight….